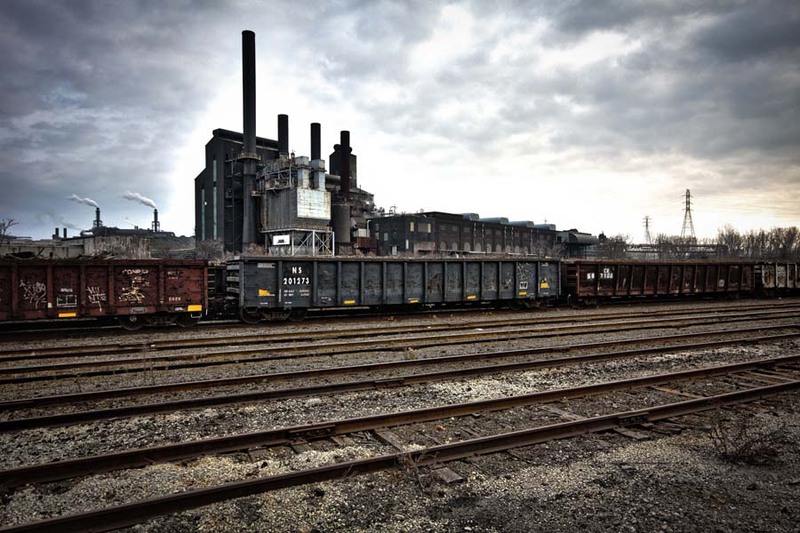 The history of industry in Cleveland has always interested me. Samuel Mather, Henry Chisholm, John D. Rockefeller, and Charles Brush were just a few of many great men to bring industry to Cleveland. Some of that industry is still around today. Arcelor Mittal now employes some 1,850 people at its Cleveland steel works and a short drive away you can visit Charles Brush’s Nela park (now GE). 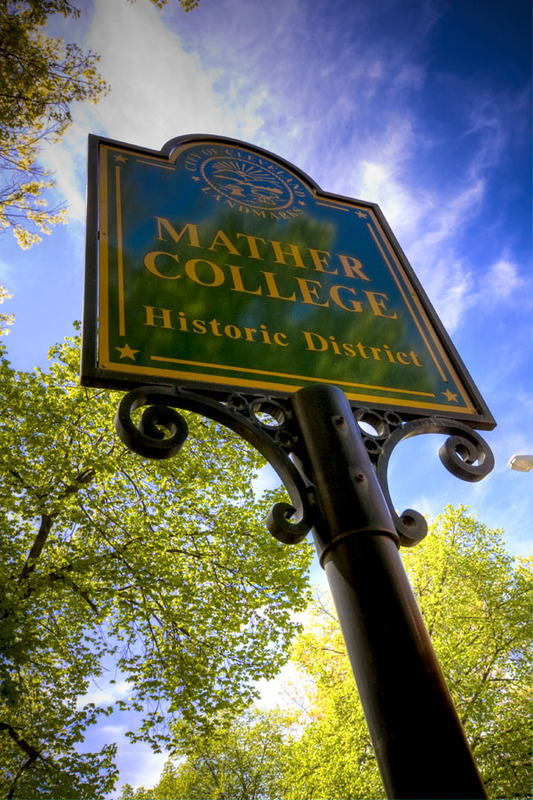 This Mather College Historic District sign is located on the campus of Case Western Reseve University. The College for Women of Western Reserve University, known under that name since its founding in 1888, was renamed “Flora Stone Mather College” in 1931. Flora Stone Mather was the wife of Samuel Mather and she was the daughter of the Amasa Stone. Amasa Stone brought Western Reserve University to Cleveland from Hudson in 1882 and it became Case Western Reserve University. Today’s Quote: The function of education is to teach one to think intensively and to think critically. Intelligence plus character – that is the goal of true education. – Martin Luther King, Jr.